click on the paper below. This assignment is due on MONDAY, JANUARY 28! type in your sentence in English here. 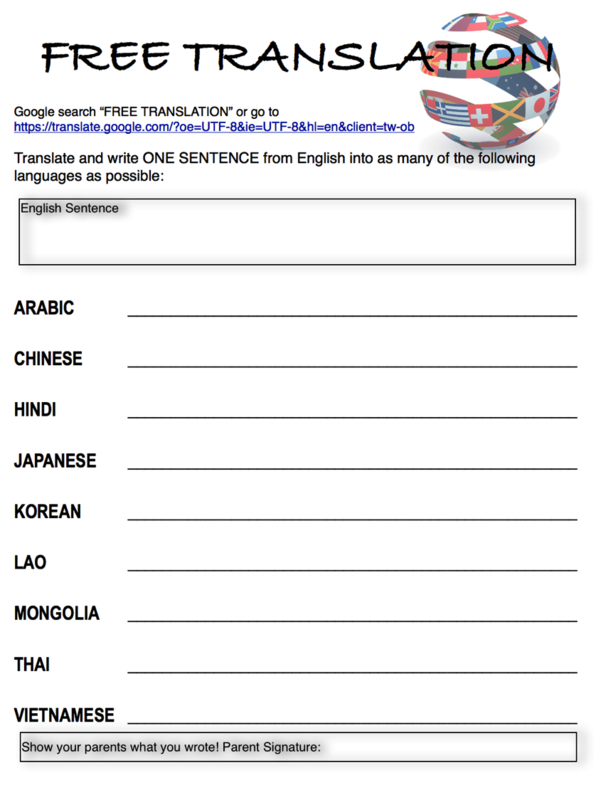 Then choose the language to which you would like your sentence translated here. You will then get your translation here. Write it on your paper! Notice that some langauges write from left to right while others write from right to left.